(this one's in DisneyLAND) Via Pinterest. I think it started with a Disney Sing-A-Long video. 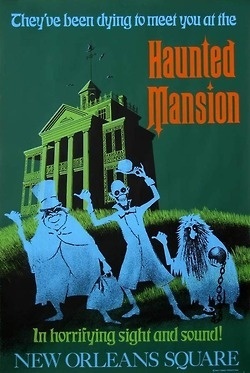 I seem to remember a couple of kids envisioning staying in the park after closing, and a cast of Disney villains and ghosts singing "Grim, Grinning Ghosts" on the lawn of the Haunted Mansion in the dark. I was five and it was terrifying. I've had a very complicated relationship with the Haunted Mansion ever since. The Sing-A-Long that started it all. Via Pinterest. My parents both love it. Growing up, it was not a situation where one parent wanted to ride and one could stay with me out in the safety of Liberty Square. Oh no. When I was too young to be left alone, I remember riding squished between my parents with my eyes firmly shut and my ears covered. I didn't even want to know what was going on in there. Eventually I evolved to being willing to watch the ballroom scene. It seemed relatively safe as it was down below the Doom Buggy. I felt out of ghost reach. Now (as a grown woman) I can ride the whole thing with my eyes open. Go me! You see, I don't do well with things popping up at me out of nowhere. I don't ride Dinosaur for that reason. I've yet to see the alien on the Great Movie Ride because I know better than to look up. Drew Carey's Sounds Dangerous was equal parts fascinating and terrifying. I still flinch at certain parts of Stitch's Great Escape. I like good surprises, like Disney trips. I don't like scary surprises. 1. 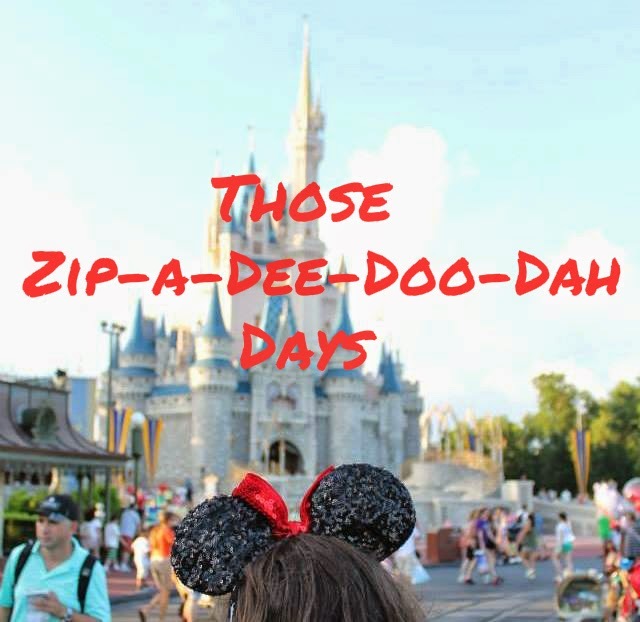 This is "Disneyfied" but it can still be frightening for certain individuals (namely children and those with overactive imaginations like myself). There is darkness, there are things that pop up unexpectedly, and there is a soft spoken menacing ghost speaking into your ear. 2. Do take the time to appreciate the humor that Disney injected into the ride's morbid topic, however. 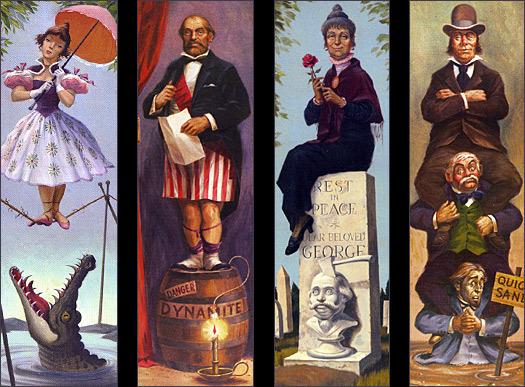 Read the tombstones that line the queue, and keep your eye out for sight gags like portraits in the stretching room. At Christmastime. That was two months ago. Halloween was four months ago.